Both PHP and ASP.NET has broad bases. They are used by huge number of developers and this makes it difficult for the new developers to choose either one of them. In one hand, PHP is a general scripting language on which developers rely to a great extent and on the other hand, ASP.NET has a brand like Microsoft attached to its name. ASP.NET vs PHP is an argument that doesn’t seem to have an end any time soon. Since both are quite popular languages in the programming world. You must have seen a ton of articles on differences between ASP.NET and PHP by now but in reality most of those articles are biased. 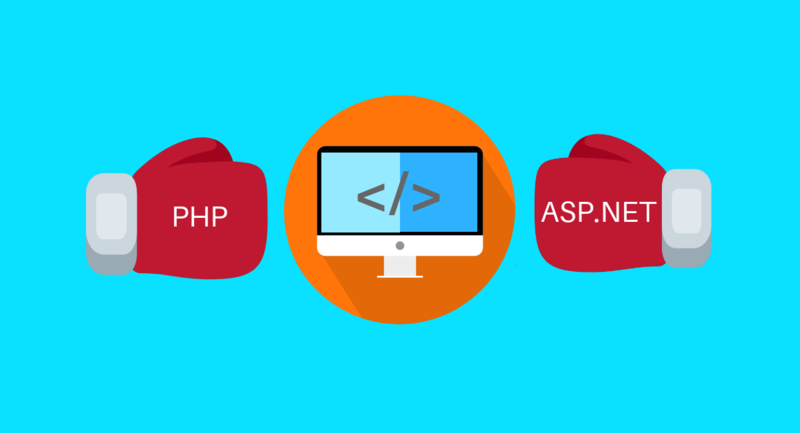 However, in this article we will talk about both the programming languages, breakdown the terms in for better understanding and discuss which is better ASP.NET or PHP. PHP is a recursive acronym for Hypertext Preprocessor. It is an open source programming language that is used for web development and can be embedded into HTML. The best thing about PHP framework is that it is great for beginners since it allows simple and easy coding techniques. On the other hand PHP is great for professional programmers as well because of all the advanced features it offers. PHP framework is said to be adopted by many businesses in the near future and you can look at the upcoming best php frameworks here. One of the biggest advantage that PHP has is the rapid development. The market demands faster app development process and PHP gives the benefit to any mobile app development company that does multiple productions in one day. The framework is not only fast but ensures the security of the application. But the PHP developers have to make sure to use the framework as it is meant to be used to ensure application’s security. PHP is easier to maintain and has a huge community of developers that provides help whenever needed. PHP is prefered by developers for all the advantages it provides but they can’t ignore the disadvantages that comes with it. Slower execution, lack of ability to solve specific problems and time taking to master are some of the cons of this framework. The pros of using ASP.NET include the flexibility to add and remove features as and when needed, the ease of setting up, a cross-platform and open-source framework and compatibility with other .NET frameworks. Microsoft has claimed it to be a highly popular framework soon just like Ruby and Node.js. However, ASP.NET does have a few cons that may make its popularity a slow process. The framework does have problems when it comes to ease of making changes, documentation gaps, lack of supporting tools and lack of basic features since its too raw. These issues can be solved by ASP.NET developers, of course, by using external tools and methods. There is no doubt that both ASP.NET and PHP frameworks are great frameworks to work with but one may have few advantages more than the other. For professional developers this debate has already been settled based on their experience with each of the frameworks. But any budding developer might want to take a look at this comparison to decide which platform to start with. Both PHP and ASP.NET provide multiple advantages and at the same time has some disadvantages. To decide which one is better than the other, we shall compare each of these two carefully. In this section we will discuss ASP.NET vs PHP: Which is better? When it comes to the performance of a framework there is a misconception that the language of the framework determines its performance. However, this is not completely true. The performance of any framework depends on the way the coding was done. The performance of ASP.NET is comparatively better than that of PHP. This statement may not be believed by PHP developers for the fact that many great websites have been built using PHP. While that may be true but it does not dismiss the fact that ASP.NET allows parallel programming which lets chunks of code to run all at the same time whereas PHP does not support threading at all. The biggest difference between ASP.NET and PHP is the usage and market share. 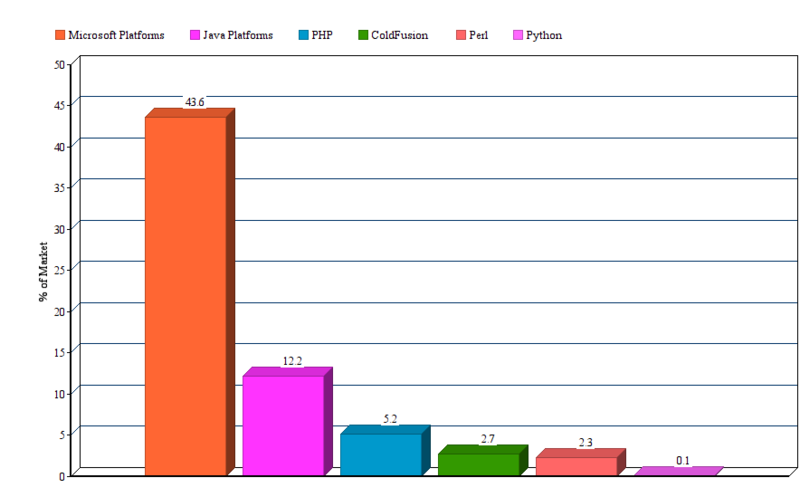 The chart below clearly shows that PHP has more usage popularity than ASP.NET. The websites built with PHP has been ranked among the Top 10k sites, Top 100k sites and Top 1M sites. Whereas ASP.NET hasn’t been awarded any titles that can beat PHP’s. 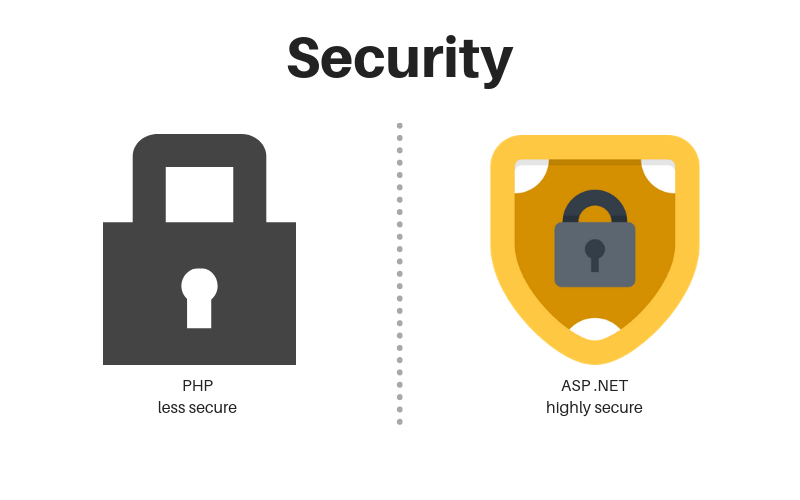 Another huge difference between ASP.NET and PHP is the security options they both provide. Both the platforms provide security features to the developers however ASP.NET has built in security features such as SQL injection. In other words, ASP.NET automatically does the work for you whereas PHP only provides you with the tools. So to settle which is better ASP.NET or PHP security-wise, ASP.NET would be the right choice. The PHP developers are provided with the tool and if they wish they can structure their apps securely. Sadly, many PHP developers don’t care about it and that results in vulnerable apps. Among these, some websites are extremely popular in both the lists but the majority of famous websites are PHP developed. Cost-wise which is better, ASP.NET or PHP? In this area, PHP is a clear winner for the reason that PHP is an open source development framework whereas ASP.NET charges some fee for hosting. The fee charged by Microsoft owned ASP.NET is not high but when compared to PHP’s free usage, it can make developers skeptical towards ASP.NET. The cost does not however stop ASP.NET developers from building websites using the framework. Another great way is to outsource the ASP.NET mobile app development services. It’s a given that PHP has a larger community than ASP.NET because it’s free. But that is not the only thing to say about a good community. ASP.NET community consists of highly dedicated developers who are supportive of their community even though the numbers is not as high as PHP. Of course the PHP community regularly comes up with the solutions to the challenges faced during PHP web apps development process. However, advantage of ASP.NET over PHP is that the ASP.NET developers have a community that is rather dedicated towards programming that having a large support. All the comparisons in the previous section point towards choosing PHP over ASP.NET. But this may seem unfair to those who are looking for reasons to choose ASP.NET over PHP. So what is the use of ASP.NET? ASP.NET provides the freedom to choose from multiple languages such as C#, Visual Basic.NET, C++, etc. The SQL security feature that ASP.NET provides is automatically applied to the applications and has unlimited data storage. With ASP.NET you get multiple .NET libraries which is not the case in PHP development. ASP.NET allows threading of codes which allows multiple codes to run at the same time. ASP.NET developers are paid much better than any PHP developer because of there are less ASP.NET developers in the market. As this debate of ASP.NET vs PHP comes to an end its time to decide which one is better than the other. Both the development frameworks are exceptionally great in the work they do and developers freely choose between them as per the need of the development process. In many cases PHP has proved to be a stronger framework but has also had some weaknesses that can affect the development process to a great extent. We have also seen a completely separate section for the advantages in ASP.NET development which consisted of strong points of benefits for the developers. PHP has a huge community and is a free framework to work with. On the other hand ASP.NET is likely to have more scope in the future since it has a huge company name Microsoft behind it. But if you still can’t decide between the two, contact our team at Appinventiv and we will help you out. We engage in both ASP.NET web app development and PHP mobile app development services which will help us give you the best solution for your problems. Take a look at our mobile app development guide for more information.